Seegatesite – Nowadays, everybody wants to be exposed. It does not mean that you should expose yourself. It can be about your story, your information and even your thinking about something. WordPress seems a good partner to share everything through a website. However, the ways of how to build a WordPress website still need to be developed by everyone. Although it looks simple, there are so many preparations you need to make before posting anything through the website from WordPress. So, are you a newbie to it? Here are some steps you need to do to make your own WordPress site. All the registration and email confirmation process are very familiar with the other service that you ever use. Now, you can prepare the non-technical terms like deciding the most powerful niche you want to expose. Do you want to write and share about food? Toys? Business? Or even technologies? All the posts are needed to be on a theme and you should decide it off. This is the most basic and important element of how to build a WordPress website in ensuring the future of your web. I have tips and tricks How to Easily Determine Niche Blog For Google Adsense which can help you determine your niche. There are so many features on the WordPress. Of course, it will make you easier in come through the steps of how to build a WordPress website. That is also the reason why many beginners choose WordPress as the partners. Make sure you boost the function of its image attaching options, text variation and so on. In the page, you can even boost the website performance through the widgets. Put everything related to your blog there. The thing which is commonly forgotten is that everyone forgets to make the menu. Even when the design and user interface is great, the menu will guide the surfer into contents that they are really looking for. Choose the social media, logo, brand, banner and everything represents the website and its contents. Adding menu is a fundamental idea of how to build a WordPress website which you need to underline. If four elements above have been met, the next step is to expand the content quality and increase traffic website. The need to understand the way how to compete in the search engine google is SEO issues. Well, it was ON Page SEO as well as OFF Page SEO. Both the SEO need to walk in balance. To apply a powerful SEO I have 12 free SEO tools list that you can try to apply. 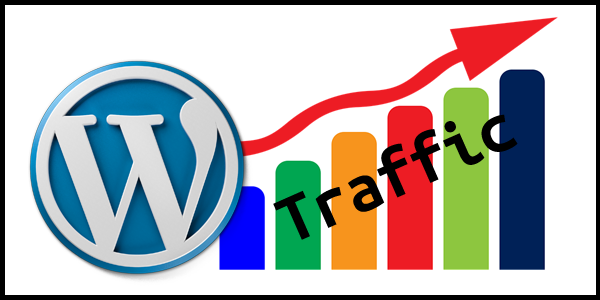 Thus article about how to build a wordpress website to be stable and rich of visitors, hope useful.